On May 16th, the presentation of the project "Mozart and We" took place at the elementary school in Obertrum. 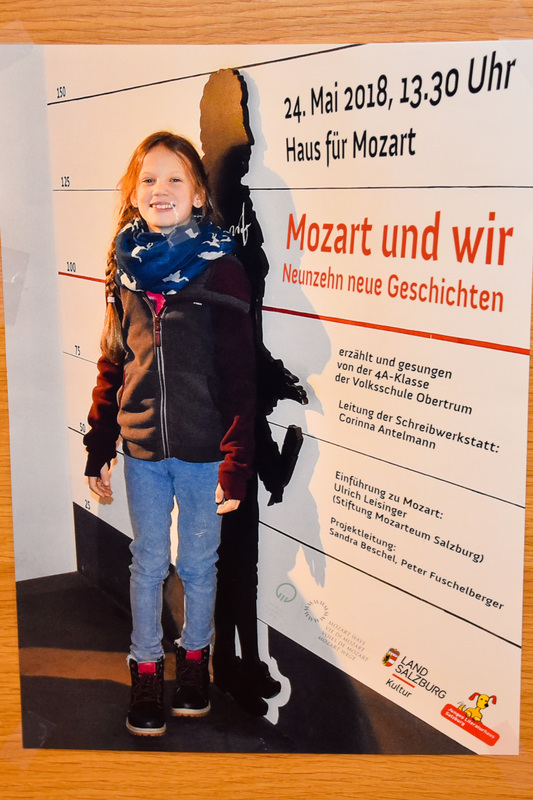 The project, initiated by the Province of Salzburg and the European Mozart Ways, was carried out in cooperation with the " Young Literarturhaus Salzburg", the elementary school Obertrum and the Mozarteum Foundation Salzburg. You did not even know that Nannerl was already jealous of her big brother in 1777? Too many likes for Wolferl, too little Famer for Nannerl, you might say today. But for both of them, it is well done by the imagination of Isabell and Sara (and thanks to a time machine! ): Nannerl becomes famous in her lifetime, Wolfgang Amadeus is it nowadays! Predator stories, time machine adventures, horse experiences, re-composed and newly composed lyrics, even texts in the best nonsense-poetry-tradition, that is the colorful potpourri of ideas of stories about the life of Wolfgang Amadeus Mozart, which the children of the 4a elementary school Obertrum (in the school year 2017 / 18) wrote down . They were introduced to the topic by the Mozart expert Ulrich Leisinger during a visit of Mozart living house in Salzburg, while writing they were accompanied by author Corinna Antelmann. 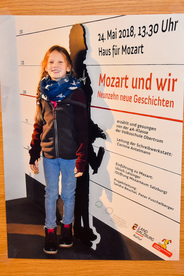 This was only possible through the commitment of her teacher Sandra Beschel, the initiative of the Department of Cultural Education in Schools of Salzburg (Dr. Maria Honsig-Erlenburg) and the Junge Literaturhaus Salzburg (Peter Fuschelberger). The ability to write, to find one's own theme in what we experience, and thus to gain access to what moves us, is seldom enough, though it accomplishes what rarely happens: to enter into a creative process in which it is not about a result, neither wrong nor right, but about discovering and holding the inner movement / suggestion, says Corinna Antelmann. The project was also be presented on the 24th of May as part of the Action Day Schools in the House for Mozart in Salzburg.